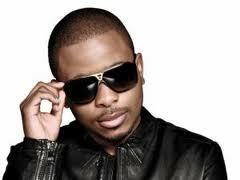 Thato Madonsela better known by his stage name L-Tido grew up in Alex, South Africa. He’s undoubtedly taking the South African hip hop scene to another massive level; with his songs busting airwaves. He’s also number one (1) on the Sowetop charts, Sound City’s Africa Rox countdown, hip hop 99, and he also have four (4) songs on Yfm chart titled “It aint my fault, Replay, smash, and success. Like most artists in the industry, he developed the love for music at a younger age “I fell in love with hip-hop when I was young, I cannot even remember the exact age” he said, I asked him why he had to chose the specific genre “As an expressive person Hip Hop gave me the platform to expressive myself”. Since then, he knew it was his calling and there was no turning back. With so much he has earned himself so far, one can agree without any reasonable doubt that it was indeed his calling. And he also quited his 9/5 job to follow his music passion, thus the album is titled “All or Nothing”. It all started with a mix tape, I had no idea what a mix tape is and he lightened me up “Remember back in the days when there were demos? A mix tape is basically something like that, people get to listen and hear what you are about, you know” but his mix tape did wonders “Generally with a mix tape you don’t get commercial success, my mix tape managed to exceed all my expectations and it was received” he said. 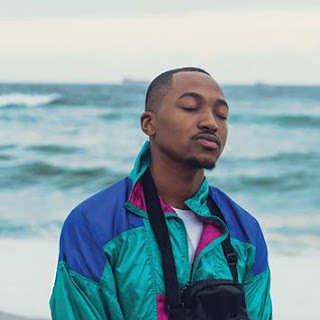 Since Hip Hop music is not widespread in the country as other genres such as house music etc, in my opinion of course that is, but judging by the incredibly feedback L-Tido has received from his fans it made me think otherwise. Therefore, I felt the urge to ask him the reason(s) behind his choice of pursuing a career through Hip Hop music and I was stunned by his positive response “I’m not doing hip hop because its popular, it is my love, even if it had an audience of like five people, I’d still be doing it, it’s my passion”. We moved right along and discussed his debut album which is titled ‘All or Nothing’ that is thus far the best hip hop album to hit the shelves in the country, with four songs playing in every airwave. Would you believe me if I told you it has been out for only two weeks? I doubt It, but that’s the truth, He featured various artists such as Tee-Pee, Da Les, K.O ,Tumi from the Volume, just to mention but a few and of course Banky W from Nigeria on the hit song “It Aint My Fault”, talking about the song I had to confirm if he really directed the music video and he shared a joke “I even forgot I did that (laughs),I did not only direct the ‘It Aint My Fault’ music video, I directed all of my videos” he said, I have to admit, the quality of his videos are beyond amazing. L-Tido is not only showcasing the love he has for music but his dedication too “I have a passion for directing too” he added. Our local Hip Hop music is going places, and it’s very impressing to see that South Africans are supporting our local rappers. Just recently Teargas waved our flag after being nominated for a BET award; this surely is a good path that is being created for our rappers. L-Tido agreed with me when I raised the subject “Hip Hop is in all the major events now, kids growing up are strongly influenced by the music, I mean if you judge Hip Hop from what it is now to how it is was three years ago, its dominating and it’s doing exceptionally well” he said proudly. After learning so much about his music and his take when it comes to the genre, I changed the topic and asked him what keeps him so grounded and humbled, “It has to be the way I was raised, my mother taught me strong morals, and not even fame can change that” he said. Having said those words I understood why he’s achieved so much thus far and why many consider him as their role model. Had to wrap up the interview in style by asking him to share his words of motivation to those that are eager to enter into the music industry, “Do not get into the music for all the wrong reasons just because you want to be famous, you will later have a problem if fame doesn’t come quickly enough for you; of course there will be a lot of struggling and obstacles in order for you to get to where you going, you need to be willing and able to go through such things, and do what’s your passion” he concluded. 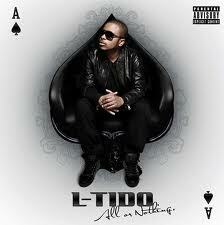 L-Tido’s “All or Nothing” album is out nationwide and oh yes worldwide too, if you prefer downloading it from your phone this is the link http://bit.ly./po0vxh or you can go to www.music.nokia.co.za LETS SUPPORT OUR LOCAL MUSIC.